In Florida, a father’s paternity rights are a factor of whether or not the father was married to the child’s mother at the time of the child’s birth. If the father and mother were not married, then the father has no legal relationship with the child. However, a legal relationship can be formed through the father’s signing of an Acknowledgement of Paternity form. Signing this form allows a father to add his name to the child’s birth certificate, thereby establishing a legal relationship. The child’s mother may also sign the Acknowledgement of Paternity form. When both parents sign the form, they swear together that they are the natural (birth) parents of the child. It is possible, however, to undo the effects of the signing – through cancellation of the effect of the acknowledgement at a court hearing within 60 days of the signing of the form. Either party possesses this right of cancellation. Obviously, this right of cancellation only applies to the father’s paternity rights, as the mother’s rights are undisputed (due to the evidence of her having given birth to the child). If, after 60 days neither party has exercised their right of cancellation, paternity is legally established under Florida law. In Florida, there are five ways to establish paternity. The first is marriage. If the mother and father are married to one another at the time of the child’s birth, paternity is automatically established. The second method, as will be discussed at length below, is through an Acknowledgement of Paternity form. This method involves the signing of a legal document, whether in the hospital at the time of the child’s birth, or later on. The third method is an administrative order based on genetic testing. Genetic testing is done through DNA testing and involves a comparison of the DNA of the mother, alleged father, and child. The fourth method is court-ordered paternity by a judge. Finally, there is the method of legitimation. Legitimation occurs when the mother and natural father get married to one another after the child is born, and then formally update the child’s birth record. biological father, legal father, or both. A father is both the legal and biological father is he was married to the child’s mother at the time of the child’s birth. If, however, the child was born out of wedlock, a biological father will have to take formal legal steps to become the child’s legal father. This process is relatively easy if the father and mother are on good terms, and have a mutual desire for one another to visit and develop a parental relationship with the child, support the child’s financial, educational, and health needs, and participate in the child’s upbringing. In such cases, the Acknowledgement of Paternity is voluntary, and not at risk of cancellation by either party. Fathers often think the Acknowledgement of Paternity form grants more rights than it really does. This is understandable, given the language of rights, responsibilities and duties on the form. However, legal establishment of paternity does not guarantee actual custody rights, such as time-sharing or making decisions regarding the child’s education and upbringing. These rights must be granted by a court. Absent court-ordered time sharing and parental responsibility rights, a father, in reality, possesses only limited rights. Notice is one such right, meaning a father with legally established paternity rights is entitled to notification in the event the mother chooses to put the child up for adoption. 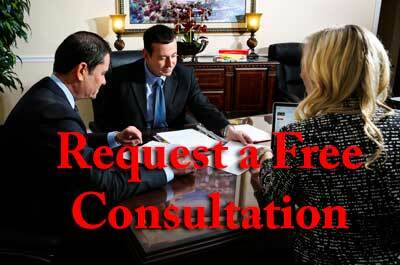 Additionally, such notice provides a father with paternity an opportunity to obtain custody rights. Lastly, just as an Acknowledge of Paternity does grant some limited rights, it also restricts rights. For example, by acknowledging paternity, a father, absent fraud or duress, will almost certainly be prohibited from later calling paternity into question by requesting a DNA test. For fathers seeking custody in lieu of the mother putting the child up for adoption, the Putative Father Registry is one option. Putative means “generally considered or reputed to be.” The purpose of the registry to allow a man contending to be the unmarried biological father of a child to preserve his right of notice and consent in the event of an adoption. As with the Acknowledgement of Paternity, registration is time-sensitive. While a claim of paternity may be filed at any time before the child’s birth, a claim may not be filed after a petition for termination of parental rights is filed. Though an Acknowledgement of Paternity creates only limited rights, it does create serious responsibilities. By signing the form and assuming legal responsibility for a child, a father becomes liable for providing financial support for the child. To obtain more than the limited rights created by an Acknowledgement of Paternity or registration with the Putative Father Registry, a father must file a Petition for Paternity. Admittedly, this is confusing; why, after all, would one need to petition for paternity after acknowledging it? Nonetheless, the petition must be filed. In doing so, one requests that the court grant the father decision-making and time-sharing rights. Absent such a grant of rights, the child’s mother possesses all rights concerning parental responsibility and custody. All this is to say that an Acknowledgement of Paternity merely establishes the presumption that the man who signed the child’s birth certificate is the father of the child. It is the Petition for Paternity that confirms the presumption and actually creates the father’s parental rights. A successful petition for paternity grants a father several significant rights. By granting parental responsibility rights, the court gives a father the right to participate in decision-making concerning the child’s education and healthcare. Secondly, a successful paternity action mandates a time-sharing arrangement, thereby allowing a father to spend time with the child. Third, a successful paternity action has bearing on child support, allowing for modifications based on the amount of time the child spends at the father’s home. Finally, a successful Petition for Paternity has long-term ramifications, as it safeguards the child’s inheritance and Social Security rights with regard to the father. Absent the creation of time-sharing and decision-making rights via a Petition for Paternity, it is possible that the child’s mother may decide to move the child outside the state of Florida. Obviously, this scenario poses serious problems for a Florida-based father wishing to enjoy custody and responsibility-related rights. Additionally, a father without court-established parental rights will be unable to legally cause the mother and child to return to the state. For fathers who have established rights through a Petition for Paternity, however, the mother must seek written permission or a court order authorizing out-of-state relocation of a child. When the relationship between an unwed mother and father of a child ends, it is sometimes the first time that the father is forced to consider the need to legally establish paternity. Other times, there was little or no relationship to begin with. In these instances, especially the latter, a court-ordered DNA test may be required to legally identify the child’s biological father. A DNA test is a scientific, genetic test used to determine whether or not a man is the child’s father. It is a common misconception that a DNA test requires needles or blood. Because DNA exists in literally every cell in the body, skin cells are sufficient. For a DNA test, a swab is used to collect cells from inside the cheek area near the mouth. The process is completely painless. For a DNA test to establish paternity, the alleged father, mother, and child are scheduled for testing. At the testing site, identification must be provided. Acceptable forms of ID include picture identification, such as a driver’s license or passport, as well as a Social Security card or birth certificate. All three parties – mother, father, and child – provide DNA samples, and also have their pictures taken. The DNA samples and photos are then sent to a genetic testing laboratory. There, the cells are all compared. It is this comparison that determines whether the alleged father is indeed the child’s biological father. The test results are then mailed to mother and alleged father. In Florida, it is possible for a man who later discovers that he is not a child’s biological father to nonetheless still be responsible for providing child support. This is because, with regard to family law issues, courts make decisions in the best interests of the child rather than the father. However, Florida law does provide a mechanism by which one can challenge a prior determination of legal paternity. The procedure is known as a Disestablishment of Paternity. If successful, the procedure terminates all support obligations. Because of the procedure’s complexity, individuals confronted with this situation are advised to seek the counsel of one of our experienced Florida family law attorneys. If you are a father whose name does not appear on your child’s birth certificate, you may want to consider taking steps to legally establish paternity. Doing so could greatly benefit your child. With paternity legally established, your child will be able to access information on your family medical history. This information may be of critical importance, given your family’s health history. Second, most obviously, your father will know who his or her father is. Even if you don’t have a custodial relationship with your child now or even in the near future, your child may very well wish to know your identity. For historical reasons, it may be beneficial for both you and your child to have your name on your child’s birth certificate. Legal paternity also allows your child to benefit from your ability to provide your child with health or life insurance. The same is true for more easily receiving child and medical support from you. In addition, the existence of formal paternity allows your child to receive Social Security or veteran’s benefits, as well as military allowances and inheritances. Just as your child may benefit from a determination of paternity, the same is true for you. An Acknowledgement of Paternity gives you the right of notice – something that may be of critical importance if the child’s mother elects to put the child up for adoption. Of course, a Petition for Paternity goes beyond the birth certificate and allows for the creation of time-sharing and decision-making rights. With a successful Petition for Paternity, you will be able to get a child support order, a court order for visitation or custody, and contribute input concerning legal decisions affecting the child.